4/3, 312 Meadowside Quay Walk, Glasgow Harbour, G11 6AY, Scotland. Meadowside Blending Co. Ltd. is a family firm offering an excellent range of fine Single Malt Scotch Whiskies. Personal service and dedication to the pursuit of excellence guarantees their selections will excite whisky connoisseurs world wide. Donald Hart and his son Andrew bring together over half a century of experience in the Scotch whisky industry. Meadowside Blending sources some of the finest malt whiskies available in Scotland. They offer rare collectable malts as well as fine blended Scotch whisky for all tastes and budgets. 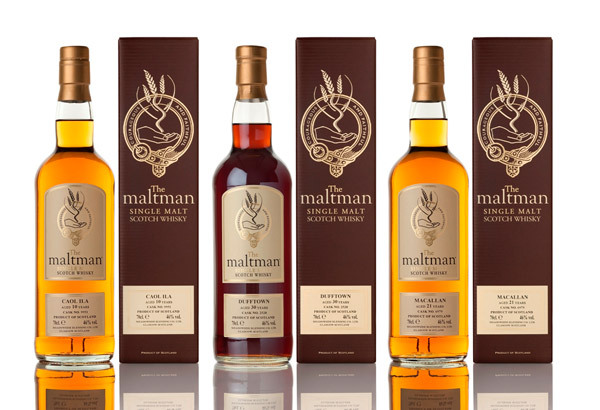 The Maltman range of exclusive bottlings of rare old single malts offers something special to the connoisseur. No colouring, caramelisation or chill filtration is used in any of our bottlings. The Maltman range includes a few real gems from lost distilleries. 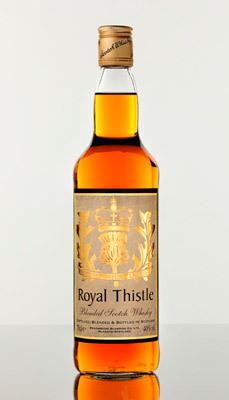 The Royal Thistle is Meadowside Blending’s finest premium Scotch whisky. It is produced from carefully selected grains and malts, offering a smooth and mellow dram. Meadowside Blending can supply most requests for Malt, Grain, Blended Scotch Whiskies, and Vodka in tanker, drum or casks (butts, barrels and hogsheads).